GOLD RIVER, Calif. -- Yes, it was anticlimactic. Still, it could be historic. Fifteen-year-old Amanda Anisimova, a potential superstar from Hallandale Beach, Fla., won her first professional title on Sunday when Croatia's Ajla Tomljanovic (pronounced Eye-la Tom-lee-on-o-vich) withdrew from the final of the $60,000 FSP Gold River Women's Challenger with a right shoulder injury. Anisimova had been 0-3 in finals, all on clay this year. She said the title at the Gold River Racquet Club in the Sacramento area "means a lot. I was in two different (U.S.) finals before, $80,000 and $60,000. I was pretty unhappy that I lost both of those, but I came in here wanting to get my first title. I'm just really happy I finally got it. Maybe this will give me some more confidence and I can win next week, too." Anisimova, who will head to Lexington, Ky., for the $60,000 Kentucky Bank Tennis Championships, admitted that the walkover made the title less satisfying. "Yeah, I guess a little bit because I didn't earn it and we didn't have the match," she said. "At the same time, I had a couple tough matches. I played some really good players, so it feels pretty good that I got past that." Anisimova won three-setters against qualifier Chanel Simmonds, a left-hander from South Africa, in the quarterfinals and second-seeded Kristie Ahn, a former Stanford star based in Orlando, Fla., in the semifinals. Anisimova turned pro last September shortly after turning 15 and made her Grand Slam main-draw debut in May at the French Open. She became the youngest player to compete at Roland Garros since France's Alize Cornet also was 15 in 2005. Anisimova, who was profiled in The New York Times before the tournament, lost in the opening round to Kurumi Nara of Japan 3-6, 7-5, 6-4. The right-handed Tomljanovic, a former top-50 player, underwent surgery on her right shoulder in February 2016 and missed the rest of the year. She had treatment on the shoulder twice during her 6-4, 6-0 victory over eighth seed and defending champion Sofia Kenin, 18, of Pembroke Pines, Fla., in the semifinals on Saturday night. Kenin took a medical timeout for a left calf injury after Tomljanovic held serve for 2-0 in the second set. The final was going to be an enticing first-time meeting between tall power players. The 24-year-old Tomljanovic is 5-foot-11 (1.80 meters), one inch (2.54 centimeters) taller than Anisimova. Both were unseeded. Missy Malool said the walkover is only the second she has experienced in a final in her 21 years as a USTA on-site supervisor. Dominika Cibulkova of Slovakia pulled out against Laura Granville, another ex-Stanford star, in a $50,000 clay-court tournament in Charlottesville, Va., in 2006 with a leg injury. "Right before the singles final, she came to me in tears and said she couldn't play," Malool recalled. "She walked out and spoke to the crowd, and everybody understood." Cibulkova, now 28, is ranked No. 11 after reaching a career-high No. 4 in March. Anisimova learned of Tomljanovic's withdrawal at about noon but stayed at the club until after the 5 p.m. doubles final to receive her trophy. Helping her celebrate were her Russian parents, Konstantin Anisimov and Olga, and her new coach, Henner Nehles, a German-born former UNLV star. Anisimova, a native of Freehold Township, N.J., speaks Russian at home but has never been to her parents' homeland. She soared from No. 250 in the world to No. 188 to become the youngest woman by far in the top 200. Next are three 17-year-olds: No. 129 Kayla Day of Santa Barbara, Calif., No. 147 Sofya Zhuk of Russia, No. 153 Destanee Aiava of Australia and No. 167 Bianca Andreescu of Canada. Anisimova beat Day 6-3, 7-5 in the first round of the Gold River Challenger. Grace Kim remains the youngest player to win a tournament on the USTA Pro Circuit. She was 13 years, 8 months and 16 days when she triumphed in Flemington, N.J., in 1982. Tomljanovic jumped from No. 270 to No. 228. She left the Gold River Racquet Club early to begin treatment at Stanford, the site of this week's Bank of the West Classic in the major leagues of women's tennis. A quarterfinalist at Stanford two years ago, Tomljanovic is scheduled to play 2012 runner-up CoCo Vandeweghe, seeded sixth and ranked 24th, in the first round on Tuesday or Wednesday. Anisimova took home $9,119, but that's likely pocket change for her. When asked if she has endorsement contracts, Anisimova said, "Um, I'm sponsored by Nike and Babolat, but I'd rather not say ... for personal reasons." In the doubles final, second-seeded Desirae Krawczyk from Palm Desert, Calif., and Giuliana Olmos from Fremont in the San Francisco Bay Area routed top-seeded Jovana Jaksic of Serbia and Vera Lapko of Belarus 6-1, 6-2. It was the fifth and biggest ITF (minor-league) title for Krawczyk and Olmos together, all this year. Olmos, a 24-year-old former USC All-American, plays for Mexico. Krawczyk, a 23-year-old left-hander, starred at Arizona State. Serbian Vlade Divac, the general manager of the NBA's Sacramento Kings, attended the doubles final. Here are the complete Sacramento singles and doubles draws. GOLD RIVER, Calif. -- Anyone clinging to the archaic notion that professional tennis is a genteel sport hasn't been paying attention. In reality, pro tennis is a physical and mental grind played on different surfaces in different conditions on different continents. Injuries are common and sometimes require surgery. Consider this week's $60,000 FSP Gold River Women's Challenger, contested on unforgiving hardcourts in brutal heat. Ajla Tomljanovic (pronounced Eye-la Tom-lee-on-o-vich), a former top-50 player rebounding from right shoulder surgery, defeated ailing Sofia Kenin 6-4, 6-0 in Saturday night's second semifinal at the Gold River Racquet Club in the Sacramento area. Earlier, 15-year-old phenom Amanda Anisimova avenged an April loss to Kristie Ahn in which Anisimova pulled a groin muscle. Healthy this time, the Hallandale Beach, Fla., resident topped the No. 2 seed and 25-year-old former Stanford star 6-4, 5-7, 6-1. The 5-foot-6 (1.68-meter) Kenin, the eighth seed and defending champion, finally broke down physically after winning last week's $60,000 Stockton Challenger, also on hardcourts in blazing heat, and winning three matches in Sacramento. Kenin, ranked 165th, said she hurt her left calf during her three-set victory over top-seeded Jennifer Brady in the quarterfinals on Friday night. That followed Kenin's three-set win over fellow 18-year-old American Usue (pronounced OOO-sway) Arconada on Thursday. Kenin played Saturday with kinesiotape on her calf and took a medical timeout at 0-2 in the second set. "It's not good. It's hurting me," a tearful Kenin moaned about her calf after her winning streak ended at eight matches. "I don't know (what's wrong)." a former Stanford star, in the semifinals. Meanwhile, the tall (5-foot-11 or 1.80 meters), slender Tomljanovic had treatment on her right (serving) shoulder at 4-3 in the first set and after winning the set. "It's OK," Tomljanovic, a 24-year-old Croatian who trains in Boca Raton, Fla., and Australia and speaks fluent English with no accent, said of her shoulder. "It's a little bit sore, but we'll see how it holds up tomorrow." The shoulder didn't seem to affect the hard-hitting Tomljanovic against Kenin. "It didn't affect my baseline game," she clarified with a laugh. "I definitely wasn't serving how I have been the last two weeks. I have to be smart out there and not push it and do something that would have a longer effect on me, a negative one." Tomljanovic, who reached the fourth round of the French Open and the doubles quarterfinals of the Australian Open (with Slovakia-born Aussie Jarmila Gajdosova) in 2014, made few errors against Kenin after losing to her 7-6 (3), 7-5 last week in the Stockton semifinals. "I thought my level was definitely higher," the unseeded Tomljanovic said. "I felt much better here. I felt the conditions suited me better. Last week felt kind of weird. I never really found my game the whole tournament, but here it kind of felt like it was falling into place, and I played much better. "I just feel like the courts are nicer (here). Last week, I felt like the ball would skid. It felt like I was playing on cement. Something was off there." The 5-foot-10 (1.77-meter) Anisimova overcame 15 double faults to subdue the 5-foot-5 (1.65-meter) Ahn in 2 hours, 37 minutes. "In the second set, I backed off a little bit and wasn't playing as aggressive," explained the unseeded Anisimova, a tremendous ball-striker who eventually could reach her goal of ascending to No. 1 and winning all four Grand Slam tournaments. "Then in the third set I was stepping in more and taking my time on my shots." Ahn, ranked No. 116, is finally reaching her potential after years of injuries. At 16, she qualified for the 2008 U.S. Open before losing to Dinara Safina 6-3, 6-4. Safina was ranked seventh at the time and climbed to No. 1 the following year. Ahn had surgery on her right (playing) wrist during her senior year of high school in Upper Saddle River, N.J. As a Stanford freshman, she was named the Intercollegiate Tennis Associated Rookie of the Year in 2011 despite playing only one match after May 1 because of an ankle injury. Ahn missed almost all of her sophomore season with a stress fracture in her left foot and shoulder soreness, then tore a quadriceps muscle between her sophomore and junior years. Along with Nicole Gibbs, Ahn led Stanford to the 2013 NCAA team title and graduated the following year as a four-time All-American. Tomljanovic and Anisimova will meet for the first time after today's 5 p.m. doubles final between top-seeded Jovana Jaksic of Serbia and Vera Lapko of Belarus and second-seeded Desirae Krawczyk from Palm Desert, Calif., and Giuliana Olmos from Fremont in the San Francisco Bay Area. Tomljanovic, ranked No. 270, seeks her fifth ITF (minor-league) singles championship and first since a $50,000 clay-court tournament in Dothan, Ala., in 2013. Her other three titles came in $25,000 tournaments. Tomljanovic has never won a crown on the WTA tour, the major leagues of women's tennis. A quarterfinalist in the Bank of the West Classic at Stanford on the WTA tour two years ago, Tomljanovic is scheduled to face sixth-seeded and 23rd-ranked CoCo Vandeweghe in the first round of the tournament next week. The 6-foot-1 (1.85-meter) Vandeweghe advanced to the 2012 Stanford final as a lucky loser, falling to Serena Williams. Anisimova, who turned pro last September shortly after turning 15, said Tomljanovic "plays similar to me. She likes to be aggressive, but that's all I've seen." Tomljanovic last week declined to address reports that she has broken up with her 22-year-old boyfriend, Nick Kyrgios. The mercurial Australian, whom Tennis Channel commentator and former renowned coach Paul Annacone has called the most talented player since Roger Federer, is ranked 21st. "I don't talk (to reporters) about my personal life," Tomljanovic declared in Stockton. Anisimova, who has soared from No. 761 at end of last year to No. 250, seeks her first ITF title. She has lost three finals, all on clay this year. "She hits the ball nice," Tomljanovic observed. "She's got easy power. She's tall with a good serve. So, yeah, she's got good things going for herself." Here are the Sacramento singles and doubles draws and today's schedule. Live streaming is available here. Maria Sharapova, a five-time Grand Slam champion formerly ranked No. 1, will face American Jennifer Brady on Monday at 7 p.m. in the first round of the Bank of the West Classic at Stanford. Sharapova, a wild card who returned from a 15-month doping suspension in April, will play in a WTA tournament in the United States for the first time since March 2015. Brady, 22, lost to defending champion Sophia Kenin, 18, on Friday night in the quarterfinals of the $60,000 FSP Gold River Women's Challenger in the Sacramento suburb of Gold River. Brady was seeded first at No. 77 in the world. In Monday night's second match, former Stanford star Nicole Gibbs will meet 17-year-old Claire Liu, the reigning Wimbledon girls champion and world's top junior. Both players live in the Los Angeles area. Eighth-seeded CiCi Bellis, who was born in San Francisco and grew up a five-minute drive from Stanford in Atherton, will play Alize Cornet of France on Tuesday at 7 p.m. Bellis, 18, is the youngest player in the top 50 at No. 43. Following that match, 2010 French Open champion Francesca Schiavone, a 37-year-old Italian, will take on Kateryna Bondarenko of Ukraine. Here are the Bank of the West qualifying draw and singles main draw and Sunday's schedule. GOLD RIVER, Calif. -- The dream quarterfinal was turning into a nightmare for Sofia Kenin. Top-seeded Jennifer Brady, who has a big serve and powerful whipping forehand, steamrolled the defending champion in the first set on Friday night in the $60,000 FSP Gold River Women's Challenger. But Kenin, 18, rallied to defeat her fellow Floridian 1-6, 6-1, 6-3 at the Gold River Racquet Club in the Sacramento area and extend her winning streak to eight matches. Kenin, who swept the singles and doubles titles in last week's $60,000 Stockton (Calif.) Challenger, won the last three games in her first meeting against Brady. "She was obviously playing really well (in the first set), and I just told myself to keep fighting because I was right there. The games were close," said Kenin, seeded eighth and ranked No. 165. "I just told myself to fight for every point." That's more than you can say for Brady, who didn't try for two balls late in the match, including Kenin's forehand cross-court passing shot on her first match point. Kenin also became more aggressive, hitting harder and taking time away from Brady, after dropping the first set. "I started going for my shots," she said. "I already lost the first set, so I just tried to play my best." Brady, 22, reached the fourth round of the Australian Open as a qualifier in January and the second round at Wimbledon early this month. At No. 77, she is the highest-ranked player Kenin has beaten. Kenin's only other victory over a top-100 player came last month against No. 85 Aliaksandra Sasnovich of Belarus in the first round of qualifying on grass in Mallorca. Brady will head to Stanford, where she is scheduled to play wild card Maria Sharapova in the first round in next week's Bank of the West Classic. Kenin, meanwhile, will meet unseeded Ajla Tomljanovic (pronounced EYE-la Tom-lee-on-o-vich), a 24-year-old Croatian based in Boca Raton, Fla., in a semifinal for the second consecutive week tonight. Kenin won 7-6 (3), 7-5 in Stockton to even her record against the 5-foot-11 (1.80-meter) Tomljanovic at 1-1. Tomljanovic won on clay in the first round of a $60,000 tournament in Charlottesville, Va., in April en route to the semifinals. Tomljanovic, ranked No. 270, beat Irina Falconi of Orlando, Fla., in the quarterfinals for the second straight week in a matchup of former top-100 players rebounding from surgery. After prevailing in three sets in the $60,000 Stockton Challenger, Tomljanovic won 6-1, 7-6 (2). Tomljanovic advanced to the fourth round of the 2014 French Open, had shoulder surgery in February 2016 and missed the rest of the year. In the other Gold River semifinal, second-seeded Kristie Ahn of Orlando will face 15-year-old phenom Amanda Anisimova of Hallandale Beach, Fla., after a 4 p.m. doubles semifinal. Ahn outlasted seventh-seeded Danielle Collins of St. Petersburg, Fla., 6-4, 3-6, 6-4 in 2 hours, 21 minutes in a match that began at noon on another scorching day in the San Joaquin Valley. Anisimova, the most promising American with the initials "AA" since Andre Agassi, topped qualifier Chanel Simmonds, a 24-year-old left-hander from South Africa, 2-6, 6-2, 6-1 as the temperature soared to 103 degrees (39.4 Celsius) early in the second set at 5:15 p.m. In May, the 5-foot-10 (1.83-meter) Anisimova became the youngest player to compete in the women's main draw of the French Open since Alize Cornet, also 15, in 2005. Before the tournament, Anisimova was profiled in The New York Times. Ahn and Anisimova will meet for the second time. Ahn triumphed 1-6, 6-2, 6-2 on clay in the final of a $60,000 tournament in Dothan, Ala., in April. Anisimova pulled a groin muscle early in the second set. Still, Ahn was highly impressed. "Obviously, she's a very clean ball-striker," Ahn said. "She's young, she's raw, she's talented. I think we're going to see a lot more of her. The crazy part is she's only 15. She's really mature for her age, and it's really impressive to watch her dictate matches." Anisimova said last week in Stockton, where she lost to American Jamie Loeb in the quarterfinals, that her goal is to become No. 1 in the world and win all the Grand Slam tournaments. That's realistic, according to Ahn. "Yeah, yeah," Ahn said without hesitation. "Obviously you never know, but she is only 15. I imagine the time when Serena, Sharapova and Venus aren't playing anymore, so it's going to be interesting to see the new wave of players in 10 years when they're 25. There's a good group of Americans, especially. I think we're all pretty curious to see how they grow up." Anisimova is eager to avenge her loss in Dothan. "This time it's going to be on hardcourt, so it's going to be a little different," said Anisimova, adding that her favorite surface is clay because it gives her more time to haul off on her groundstrokes. "Last time I wasn't fully there because I pulled a muscle, but hopefully this time I'll be there 100 percent, so we'll see how it goes." Both Ahn, 25, and Collins, 23, are college graduates, a rarity in professional tennis. Ahn, along with Nicole Gibbs, led Stanford to the NCAA team title in 2013 and graduated the following year. Collins graduated from Virginia last year as a two-time NCAA singles champion (2014 and 2016). Ahn shook off a double fault on set point in the first set and Collins' rally from 1-4 (one service break) to 4-4 in the third set. "A lot of credit to her," said the 5-foot-5 (1.65-meter) Ahn, ranked No. 116. "She played well, she put a lot of pressure on me, and I was just trying to clear it out of my head and take each point one at a time. "Obviously, experience helps, but she's playing pretty well, and there were just a couple of key moments that -- you're right -- I was able to put out of my head at the right time." Collins, ranked No. 160 after only one year on the circuit full-time, crushes her serve, return of serve and groundstrokes. She blasted 11 aces, including three in a row twice. "She definitely took the initiative from the start -- serves and returns," Ahn said with a laugh, "I think she had like eight aces or something, so definitely whenever I had a look, I tried to get into points as much as I could. " Anisimova trailed by a set and a service break for 0-1 in the second set when she suddenly stopped making unforced errors and started rifling passing shots. When the 5-foot-5 (1.65-meter) Simmonds pounded an ace at 0-4, 0-40, she raised her arms in mock triumph and smiled at the fans sitting behind the baseline. Said Anisimova: "I just didn't have a great day today. I think everyone doesn't always play great, but I got myself out of it, and I started playing my game again." Here are the Gold River singles and doubles draws and today's schedule. Live streaming is available. In a dream quarterfinal, top-seeded Jennifer Brady will face defending champion Sofia Kenin in the $60,000 FSP Gold River Women's Challenger. The Floridians will meet tonight after a 6:30 doubles semifinal at the Gold River Racquet Club in the Sacramento area. Kenin, from Pembroke Pines, beat Usue (pronounced OOO-sway) Maitane Arconado, a Puerto Rico product, 6-3, 6-7 (4), 6-1 in a meeting of 18-year-olds in Thursday's featured night match. Kenin extended her winning streak to seven matches. She swept the singles and doubles titles in last week's $60,000 Stockton Challenger. Kenin played with Arconada in Stockton, but neither entered doubles in Sacramento. Brady, a 22-year-old former UCLA star based in Orlando, defeated U.S. qualifier Ena Shibahara, who completed her freshman season at UCLA in May, 6-2, 6-4. Brady, who reached the round of 16 in the Australian Open in January as a qualifier, is the only top-100 player in the draw at No. 77. Kenin is No. 165. Ajla Tomljanovic (pronounced Eye-la Tom-lee-on-o-vich), a 24-year-old Croatian based in Boca Raton, Fla., will meet Irina Falconi, 27, of Orlando in the quarterfinals for the second consecutive week. That will follow the noon match between No. 2 seed Kristie Ahn of Orlando and No. 7 Danielle Collins of St. Petersburg, Fla.
Tomljanovic outslugged Falconi 2-6, 6-0, 6-2 in Stockton. Both are former top-100 players rebounding from surgery. Both Ahn and Collins are college graduates, a rarity in professional tennis. Ahn, along with Nicole Gibbs, led Stanford to the NCAA team title in 2013. Collins won the NCAA singles crown in 2014 and 2016 while playing for Virginia. After the Tomljanovic-Falconi showdown, 15-year-old U.S. sensation Amanda Anisimova will play qualifier Chanel Simmonds, a 24-year-old left-hander from South Africa. Here are the Sacramento singles and doubles draws and today's schedule. Live streaming is available. Ashley Kratzer, the runner-up in Stockton last week as an 18-year-old wild card, lost to Danielle Lao, only 5-foot-3 (1.61 meters), 6-3, 6-3 on Wednesday in a first-round matchup of Americans in the $60,000 FSP Gold River Women's Challenger in the Sacramento area. Lao, a quarterfinalist in the 2014 Gold River Challenger, will face seventh-seeded Danielle Collins of St. Petersburg, Fla., today at about 2 p.m. on the Stadium Court at the Gold River Racquet Club. Two seeds fell on Wednesday. No. 4 Sachia Vickery of Miramar, Fla., lost to former top-50 player Ajla Tomljanovic, a Croatian based in Boca Raton, Fla., 6-3, 6-1. Also, No. 5 Jamie Loeb of Ossining, N.Y., succumbed to qualifier Chanel Simmonds 5-7, 6-2, 6-3. Both Tomljanovic and Loeb reached the Stockton semifinals. Top-seeded Jennifer Brady, who advanced to the round of 16 in the Australian Open in January as a qualifier, outlasted 17-year-old American Claire Liu, the reigning Wimbledon girls champion who's ranked No. 1 in the world in the juniors, 3-6, 6-4, 6-4. Defending champion and eighth seed Sofia Kenin, 18, of Pembroke Pines, Fla., routed Jillian Taggart, a 16-year-old wild card from the Sacramento suburb of Fair Oaks, 6-1, 6-2. Kenin is coming off the Stockton title. U.S. qualifier Victoria Duval, who was diagnosed with Hodgkin's lymphoma in 2014, edged Jovana Jaksic of Serbia 5-7, 6-4, 7-5 in 3 hours, 5 minutes. Emina Bektas, a 24-year-old wild card from Indianapolis, defeated 46-year-old Japanese marvel Kimiko Date 3-6, 6-2, 2-0, retired. Here are the Sacramento singles and doubles draws and today's schedule. In a matchup of top U.S. prospects, 15-year-old Amanda Anisimova ousted third-seeded Kayla Day 6-3, 7-5 today in the first round of the $60,000 FSP Gold River Women's Challenger in the Sacramento area. In May, Anisimova of Hallandale Beach, Fla., became the youngest player to compete in the women's main draw of the French Open since 15-year-old Alize Cornet in 2005. Day, a 17-year-old left-hander from Santa Barbara, Calif., advanced to the third round of the prestigious BNP Paribas Open at Indian Wells in March, losing to Garbine Muguruza 3-6, 7-5, 6-2. 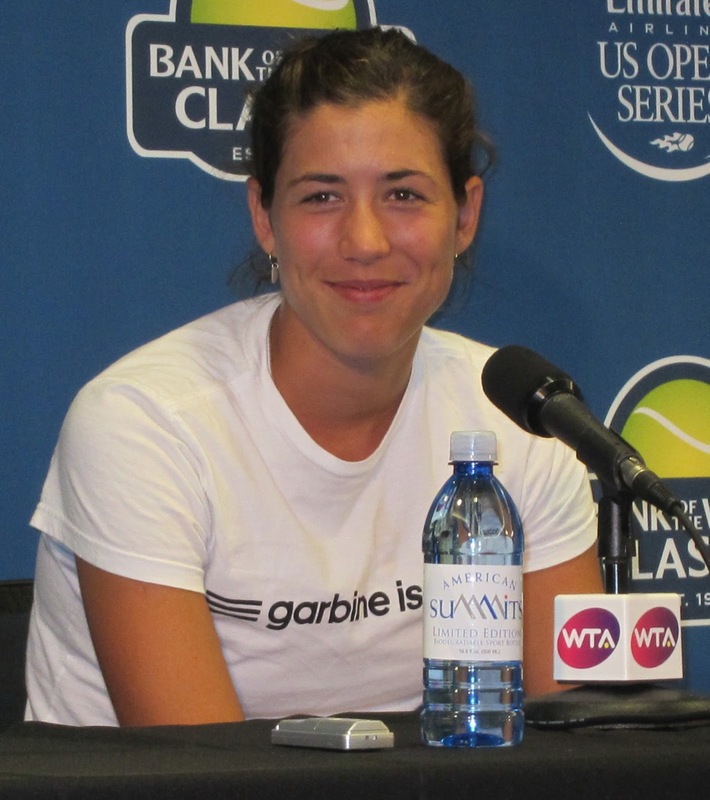 Muguruza won Wimbledon nine days ago for her second Grand Slam singles title. In another upset today, 24-year-old wild card Robin Anderson beat No. 6 seed Lizette Cabrera of Australia 7-5, 6-3. No. 2 seed Kristie Ahn, a 25-year-old former Stanford star based in Orlando, Fla., and No. 7 Danielle Collins, 23, of St. Petersburg, Fla., advanced in straight sets. Ahn, ranked No. 116, defeated 19-year-old left-hander Francesca Di Lorenzo, the top-ranked college player all spring as an Ohio State sophomore, 6-4, 6-4. Collins, the 2014 and 2016 NCAA champion from the University of Virginia, dismissed U.S. wild card Anna Tatishvili, a former top-50 player, 6-0, 6-3. In the final round of qualifying, cancer survivor Victory Duval, 21, of Bradenton, Fla., overwhelmed Michaela Gordon of Saratoga in the San Francisco Bay Area 6-0, 6-1 in 60 minutes. Duval was diagnosed with Hodgkin's lymphoma in 2014, shortly before cracking the top 100. Gordon will turn 18 on Wednesday and enroll at Stanford in September. Here are the Sacramento qualifying, singles and doubles draws and Wednesday's schedule. Top-seeded Jennifer Brady, who reached the fourth round of the Australian Open in January as a qualifier, will face reigning Wimbledon junior champion Claire Liu in an all-American matchup on Wednesday in the first round of the $60,000 FSP Gold River Women's Challenger. Brady, 22, of Boca Raton, Fla., and Liu, 17, of Thousand Oaks in the Los Angeles area will meet at a time to be announced at the Gold River Racquet Club in the Sacramento area. Brady, ranked No. 77, is the only top-100 player in the draw. Next is No. 116 Kristie Ahn, a former Stanford star based in Orlando, Fla.
Ahn will play Francesca Di Lorenzo, a 19-year-old left-hander from New Albany, Ohio, on Tuesday after the 10 a.m. match between Victoria Duval and Michaela Gordon in the final round of qualifying. Di Lorenzo, the top-ranked college player all spring as an Ohio State sophomore, reached the quarterfinals of last week's $60,000 Stockton Challenger. Duval was diagnosed with Hodgkin's lymphoma at age 18 in 2014, shortly before cracking the top 100 in the world. Gordon, from Saratoga in the San Francisco Bay Area, will turn 18 on Wednesday and enroll at Stanford in September. Two top U.S. prospects will square off on Tuesday in the opening round. Third-seeded Kayla Day, a 17-year-old left-hander from Santa Barbara, Calif., will take on Amanda Anisimova, 15, of Hallandale Beach, Fla., at about 2 p.m. In May, Anisimova became the youngest player to compete in the women's main draw of the French Open since Alize Cornet at 15 in 2005. Anisimova joined Di Lorenzo in the Stockton quarterfinals. Day advanced to the third round of the prestigious BNP Paribas Open at Indian Wells in March, losing to Garbine Muguruza 3-6, 7-5, 6-2. Muguruza won Wimbledon eight days ago for her second Grand Slam singles title. Day did not play in Stockton. Eighth seed and Gold River defending champion Sofia Kenin, 18, of Pembroke Pines, Fla., will try to sweep the Stockton and Sacramento titles. She will open against Jillian Taggart, a 16-year-old wild card from Fair Oaks in the Sacramento area, on Wednesday at a time to be announced. Also in action Wednesday will be Marina Erakovic, a former top-40 player from New Zealand rebounding from knee problems, and 46-year-old Japanese marvel Kimiko Date, who ascended to No. 4 in the world in 1995. Erakovic will play Jennifer Elie, a 30-year-old American, and Date will meet U.S. wild card Emina Bektas, 24. Here are the Sacramento qualifying, singles and doubles draws and Tuesday's schedule. STOCKTON, Calif. -- Sofia Kenin is a tennis prodigy ranked No. 160 in the world at 18 years old. Ashley Kratzer is a late bloomer -- if there's such a thing at the same age -- ranked No. 415. Guess which one skipped college to turn pro and which is an amateur still considering college. "I'm still deciding college or pro," Kenin, seeded fourth, said after demolishing Kratzer, a wild card, 6-0, 6-1 in 65 minutes today to win the $60,000 University of the Pacific Stockton Challenger at Pacific's Eve Zimmerman Tennis Center. --Won the USTA Girls' 18s national title at 16 in 2015 to earn an automatic wild card into the women's main draw of the U.S. Open, in which she lost to Colombian veteran Mariana Duque-Marino 6-3, 6-1 in the first round. --Returned to the women's main draw at Flushing Meadows last year by winning the USTA Pro Circuit Wild Card Challenge and lost to eventual runner-up Karolina Pliskova 6-4, 6-3 in the opening round. --Reached the junior singles final at 16 in the 2015 U.S. Open, junior semifinals in the 2016 U.S. Open and junior quarterfinals at Wimbledon in 2016. --Climbed to No. 2 in the world junior rankings two weeks after her 17th birthday in November 2015. --Has won three singles titles on the USTA Pro Circuit, equivalent to Triple A in baseball. She will defend her title in the $60,000 FSP Gold River Women's Challenger in the Sacramento area next week. --Took the lead in this year's U.S. Open Wild Card Challenge by winning Stockton, which opened the three-week competition. Kenin could earn another U.S. Open berth with more strong results in the Challenge, by receiving a separate wild card, by cracking the top 100 for direct entry or by qualifying. As an amateur, she already forfeited $39,500 (except expenses) at the 2015 U.S. Open and $43,313 there last year. First-round losers in singles at Flushing Meadows this year will pocket $50,000. --Forfeited $10,791 for sweeping this week's Stockton titles ($9,119 in singles and $1,672 in doubles). Despite all this, Kenin might enroll at the University of Miami, near her home in Pembroke Pines, Fla., or idyllic Pepperdine, overlooking the Pacific Ocean in the Los Angeles area, in January? "I have to be like top 100 to turn pro," Kenin insisted before adding with a laugh, "I'm getting there slowly." Actually, Kenin is getting there quickly. She skyrocketed from No. 620 at the end of 2015 to No. 212 and the end of last year. Kenin will remain at about No. 160 in Monday's new rankings because her computer points from Stockton will replace those from Sacramento, which was played this week last year, in the revolving 52-week system. But Kenin will rise in the rankings with a good showing next week because she lost in the first round in the $50,000 Lexington (Ky.) Challenger during the corresponding week last year. Kenin is using CiCi Bellis' method of deciding when to turn pro. The San Francisco Bay Area product verbally committed to Stanford shortly after reaching the Stockton semifinals last year (losing to eventual champion Alison Van Uytvanck of Belgium) but made the leap after cracking the top 100 last September. Bellis, now 18, is the youngest player in the top 50 at No. 40. Kenin, by the way, was 2-3 against Bellis in ITF junior tournaments. They have not met in a professional tournament. One reason for Kenin's hesitance is her size in an era of power. She is only 5-foot-6 (1.68 meters). Then again, Bellis is only an inch (2.54 centimeters) taller. Kratzer, a resident of Newport Beach in Southern California who turned pro at 17 late last year, has no such concerns at 5-foot-11 (1.80 meters). Plus she's left-handed, a distinct advantage because it's a different look for opponents and she can spin the ball out wide on her serve on the ad side to open up the court on key points. Plus Kratzer had no interest in attending college. Kenin, playing in the Stockton Challenger for the first time, became the first American in the tournament's three-year history to win the singles championship. She was born in Moscow, moved to the United States as a baby and also goes by Sonya. Nao Hibino of Japan took the inaugural Stockton title at age 20 at the old courts of the Pacific men's and women's teams before the $4 million Zimmerman complex opened in March last year. A 5,500-foot clubhouse and an electronic scoreboard are scheduled to be completed in about three weeks. Kenin lost only one set in five matches during the week. That came in the quarterfinals against American Francesca Di Lorenzo, a 19-year-old left-hander who was the top-ranked college player all spring as an Ohio State sophomore. Kenin did not face a seed in the tournament. But she had her hands full in a 7-6 (3), 7-5 semifinal victory over Ajla Tomljanovic, a 5-foot-11 (1.80-meter) Croatian. Tomljanovic, who reached No. 47 in the world in February 2015, is rebounding from shoulder surgery. Kenin beat Kratzer even more easily than in their only previous meeting, a 6-2, 6-1 decision in the first round of a $25,000 hardcourt tournament in Surprise, Ariz., in February. Kratzer was done in this time by nerves and Kenin's impressive game. While Kratzer made numerous unforced errors, Kenin displayed good pop on her serve, tremendous groundstrokes and excellent touch. Kenin frustrated Kratzer with several deft drop shots and a perfectly placed backhand lob to convert her first match point as Kratzer watched helplessly at the net. Kratzer won only 38.2 percent of the points when making her first serve (13 of 34). "It was only my second final, so I was for sure nervous," said Kratzer, who lost to Marcela Zacarias of Mexico 7-5, 6-4 in the title match of a $10,000 hardcourt tournament in Austin, Texas, in July 2016. "But she definitely played well. She played some of her best that I've seen. "She can just get a bunch of balls back, and she knows how to place it very well. She kept me running and on my toes. I just couldn't find my timing today." Kratzer tried to exploit Kenin's forehand, which she said is not as strong as her two-handed backhand. "I just wasn't able to execute my shots very well today," Kratzer lamented. Still, Kratzer had a breakthrough week. "It was one of my best weeks and the best tennis that I have played, ever, so it was definitely a great week for me," crowed Kratzer, who had won only one main-draw match in 13 career $50,000 tournaments or above. Kratzer will jump to about No. 326 in the rankings. She earned $4,863 for her runner-up finish in singles, plus $152 for her first-round loss in doubles, for a total of $5,015. And unlike Kenin, Kratzer can keep the money. Here are the complete Stockton singles and doubles draws, the Sacramento qualifying draw and Monday's schedule. STOCKTON, Calif. -- Amanda Anisimova brought the hype, but Jamie Loeb brought the game. Despite giving up four inches (10.2 centimeters) to the 15-year-old phenom, the second-seeded Loeb outslugged Anisimova 6-4, 6-2 today in an all-American quarterfinal in the $60,000 University of the Pacific Stockton Challenger. In May, the 5-foot-10 (1.83-meter) Anisimova became the youngest player to compete in the main draw of the French Open since Alize Cornet of France in 2005. Before the tournament, USTA general manager for player development Martin Blackman called Anisimova "a very special player" in a New York Times profile of her. After dispatching sixth-seeded Grace Min 6-1, 6-2 in the second round on Thursday, Anisimova said her long-term goal is "to become No. 1 and win every Grand Slam." But Loeb, a 22-year-old product of the John McEnroe Tennis Academy in New York, is surprisingly powerful for someone her size. "You're not the first person to say that," Loeb, who turned pro after winning the 2015 NCAA singles title as a North Carolina sophomore, said with a laugh. "Some people are like, 'How do you get your power?' I'm like, 'I don't know.' I've always been pretty powerful and aggressive. I'm just trying to be more versatile on the court, but aggressiveness definitely is my strength." Loeb, ranked 154th, played outstanding offense and defense and repeatedly put Anisimova on the defensive with deep returns of serve. Loeb, however, put in only 43.4 percent of her first serves (23 of 53). "Obviously I can still improve on my serve, but I'm still pleased with how I'm playing and constructing points from the baseline," observed Loeb, a singles quarterfinalist in Stockton last year and the doubles champion in the 2015 (inaugural) tournament. Loeb said her game plan against Anisimova was to "keep the rally going because I knew once I got into the rally I had a good chance of winning. She has a big game and likes to go for her shots. I wanted to keep moving the ball around." The fast courts at the Eve Zimmerman Tennis Center should have favored the bigger Anisimova, but it didn't work out that way. "I didn't have enough time to prepare for them," lamented a subdued Anisimova, who was born in Freehold Township, N.J., to Russian parents. At the same time, Anisimova complimented Loeb. "She played really well," said Anisimova, ranked 257th. "I think her style of game really helps her here. She plays really quick and fast -- she prepares her return early and has a compact swing -- and moves around the court really well." Loeb, who has not lost more than four games in a set in three tournament matches, will play 18-year-old wild card Ashley Kratzer of Newport Beach in Southern California for the first time in Saturday's second semifinal. Kratzer, a left-hander who turned pro late last year, defeated Xu Shilin, a 19-year-old right-hander from China who uses two hands on both sides, 6-4, 6-2. "My expectations were to get to the quarters. I did that yesterday, so today, I said, 'Let's just play, have fun and do what you can do,' and it worked," said the 415th-ranked Kratzer, who skipped the juniors, like the Williams sisters, to work on her game and avoid injuries. "Anything from here on, I'm proud of." In the first semifinal at 9 a.m., fourth-seeded Sofia Kenin, 18, of Pembroke Pines, Fla., will face Ajla Tomljanovic of Croatia. Kenin, 5-foot-6 (1.68 meters), downed Francesca Di Lorenzo, a 19-year-old left-hander from New Albany, Ohio, 6-3, 6-7 (5), 6-1. Kenin, who won last year's Sacramento Challenger, is ranked 160th. Di Lorenzo won the NCAA doubles title and lost in the first round of singles as the top seed as an Ohio State sophomore in May. She said she will decide at the end of the summer whether to turn pro. Tomljanovic, 5-foot-11 (1.80 meters) and lean, used her laser groundstrokes to subdue former Irina Falconi, only 5-foot-4 (1.63 meters) of Orlando, Fla., 2-6, 6-0, 6-2 in a matchup of former top-70 players rebounding from surgery. That prevented an all-U.S. semifinals. "I thought she played pretty good in the first set," Tomljanovic, who's based in Boca Raton, Fla., and speaks English with no accent, said after her second consecutive three-set victory in the blazing heat of the San Joaquin Valley. "I had a good start but kind of lost my concentration and let it slip away for a couple games. I just started fresh after the first set and tried to stay calm and win some more games. I got on the board 6-2 and came out and started picking up from there." Tomljanovic reached the Australian Open doubles quarterfinals and the fourth round of singles in the French Open in 2014. She had shoulder surgery in February 2016 and missed one year. Ranked a career-high No. 47 in February 2015, Tomljanovic has tumbled to No. 297. Tomljanovic is 1-0 against Kenin, having won 6-4, 6-1 in the first round of a $60,000 clay-court tournament in Charlottesville, Va., in April en route to the semifinals. Here are the Stockton singles and doubles draws and Saturday's schedule. Live streaming is available. STOCKTON, Calif. -- Top-seeded Kristie Ahn lost today in the $60,000 University of the Pacific Stockton Challenger, but the former Stanford star shouldn't feel too bad. For one thing, Ahn fell to a WTA veteran who reached a career-high No. 63 in May 2016. For another, Ahn had plenty of company. Irina Falconi dismissed friend and fellow Orlando, Fla., resident Ahn 6-4, 6-0 in the second round at the Eve Zimmerman Tennis Center. Also eliminated were No. 3 seed Danielle Collins, No. 6 Grace Min and No. 7 Usue Maitane Arconada. Only two seeds, No. 2 Jamie Loeb and No. 4 Sofia Kenin, reached the quarterfinals. Falconi, only 5-foot-4 (1.63 meters), reached the third round of the 2011 U.S. Open and 2015 French Open. The Ecuador native won her only WTA title in April 2016 on clay in Bogota but had surgery on her right big toe after the U.S. Open and returned to the tour at the beginning of January. Now ranked No. 247, the 27-year-old Falconi said the key to beating Ahn was making sure she did "something as simple as looking at the ball on every single point. There were a few times where I corrected myself and said, 'Look at the ball.' Once I won the first set, continuing with that fire and intensity helped me in the second." The 5-foot-5 (1.65-meter) Ahn, 25, had no aces and six double faults. She won only 43.3 percent of the points on her first serve (13 of 30) and 39.1 percent (9 of 23) on her second delivery. "I didn't serve very well," acknowledged Ahn, ranked No. 117. "I tried to do the right thing and come forward a couple times and made too many errors. It was partly due to her great defense. I definitely overplayed a couple times. "Overall it was not my best, but I do think we had a couple good points, and there were some positives I could take away from today. I came forward more today than I did the other day, and I'm trying to incorporate that more into my game." Falconi is scheduled to play Croatia's Ajla Tomljanovic, a former top-50 player rebounding from shoulder surgery, Friday not before 10:30 a.m. on Court 2 in the quarterfinals. The 5-foot-11 (1.80-meter) Tomljanovic (pronounced Tom-lee-an-o-vich), who reached the fourth round of the 2014 French Open, defeated Tessah Andrianjafitrimo, 18, of France 5-7, 6-4, 6-0. Falconi has a 4-2 record with a three-match winning streak against Tomljanovic. Falconi won the last meeting 6-1, 6-2 in the second round of qualifying in the 2015 Canadian Open. Also today, 19-year-old Xu Shilin of China dispatched third-seeded Danielle Rose Collins of St. Petersburg, Fla., 6-3, 6-3. Xu, who lived in Florida from age 8 to 14 and speaks fluent English, uses two hands on her forehand and backhand. Collins won the 2014 and 2016 NCAA singles titles while playing for Virginia. Xu will play wild card Ashley Kratzer, an 18-year-old left-hander from Newport Beach in Southern California, not before 10:30 a.m. on the Stadium Court. Kratzer beat naturalized U.S. citizen Anna Tatishvili, a former top-50 player, 6-4, 7-5. Amanda Anisimova, a 15-year-old phenom from Hallandale Beach, Fla., dominated sixth-seeded Grace Min of Atlanta and Orlando 6-1, 6-2. The 5-foot-10 (1.78-meter) Anisimova, who has lost only four games in two Stockton matches, will take on Loeb of Ossining, N.Y., at 9 a.m. on the Stadium Court. Loeb, a singles quarterfinalist in Stockton last year and doubles champion in the 2015 (inaugural) tournament, outclassed 18-year-old Caroline Dolehide of Hinsdale, Ill., 6-3, 6-2. Loeb, the 2015 NCAA singles champion at North Carolina, has not lost more than three games in a set in her two matches. Also, Francesca Di Lorenzo held off seventh-seeded Usue Maitane Arconada 7-6 (5), 6-4 in a hard-hitting battle of U.S. teenagers. Arconada, who was born in Argentina and grew up in Puerto Rico, led 4-1 in the tiebreaker. Di Lorenzo, a 19-year-old left-hander, won the NCAA doubles title as an Ohio State sophomore in May and lost in the first round of singles as the top seed. She will face Kenin, 18, of Pembroke Pines, Fla., at 9 a.m. on Court 2. Kenin, who won last year's Sacramento Challenger, beat Robin Anderson, a 24-year-old former UCLA star, 6-4, 6-3. Here are the Stockton singles and doubles draws and Friday's schedule. Live streaming is available. Third-seeded Danielle Collins of St. Petersburg, Fla., beat qualifier Victoria Duval of Bradenton, Fla., 6-1, 7-6 (5) today in the first round of the $60,000 University of the Pacific Stockton (Calif.) Challenger at the Eve Zimmerman Tennis Center. Collins won the 2014 and 2016 NCAA singles titles while attending Virginia to become the seventh woman with multiple NCAA singles crowns. Duval, now 21, was diagnosed with Hodgkin's lymphoma in 2014 and missed one year while undergoing chemotherapy. Collins, 23, is scheduled to play Xu Shilin, 19, of China on Thursday not before 10:30 a.m. In a battle of teenagers, Tessah Andrianjafitrimo of France took out fifth-seeded Lizette Cabrera of Australia 1-6, 7-5, 6-2. After the first round, six of the eight seeds remain. No. 8 Jennifer Elie of New York lost to former top-50 player Anna Tatishvili, a 27-year-old U.S. citizen from the nation of Georgia, on Tuesday. Second-seeded Jamie Loeb, a product of the John McEnroe Tennis Academy in New York, outclassed An-Sophie Mestach of Belgium 6-3, 6-2. Shortly after Loeb won the 2015 NCAA singles championship as a North Carolina sophomore, she took the doubles title in the inaugural Stockton Challenger with previous Tar Heels star Sanaz Marand. Mestach reached the singles final, falling to Nao Hibino of Japan. Amanda Anisimova, a 15-year-old phenom from Hallandale Beach, Fla., demolished qualifier Ingrid Neel, 19, from Rochester, Minn., 6-0, 6-1 in 47 minutes. Both Anisimova, who will turn 16 on Aug. 31, and Neel made news in May. Anisimova became the youngest player to compete in the main draw of the French Open since Alize Cornet of France in 2005, losing to Kurumi Nara of Japan 3-6, 7-5, 6-4 in the opening round. Neel, then a freshman at Florida, won the clinching match in the Gators' 4-1 victory over Stanford in the NCAA final in Athens, Ga.
Anisimova's victory was not the only 47-minute match of the day. Ajla Tomljanovic of Croatia overwhelmed Michaela Gordon, a 17-year-old qualifier from Saratoga in the San Francisco Bay Area, 6-1, 6-0. Gordon will enroll at Stanford in September. Tomljanovic, 5-foot-11 (1.80 meters), attained a career-high ranking of No. 47 in February 2015 and reached the quarterfinals of the Bank of the West Classic at Stanford that July. But she had shoulder surgery in February 2016 and missed 13 months. Francesca Di Lorenzo, 19, of New Albany, Ohio, defeated qualifier Allie Will, a former University of Florida star who teaches tennis in Fairfield (near San Francisco), 7-5, 6-3. Di Lorenzo won the NCAA doubles title in May as an Ohio State sophomore with Miho Kowase. Here are the Stockton singles and doubles draws and Thursday's schedule. Live streaming of the tournament is available. Nov. 13, 1995. Seventeen days later, Victoria Duval came into the world. They continued their remarkable stories today in the $60,000 University of the Pacific Stockton Challenger. Duval has overcome three harrowing personal crises, plus a knee operation, in her 21 years. She overpowered fellow American Kristina N. Smith 6-2, 6-1 in the morning at the Eve Zimmerman Tennis Center in the final round of qualifying. Japan's Date (pronounced DAH-tay), still playing professionally at the preposterous age of 46, fell to seventh-seeded Usue (pronounced OO-sway) Maitane Arconada, an 18-year-old American, 4-6, 6-3, 6-0 on a hot, gusty afternoon. Date led 3-1 in the second set when she began to tire, and then her surgically repaired left knee tightened up early in the third set. The hard-hitting Arconada, who reached No. 5 in the junior world rankings, swept the last 11 games of the match. Duval was born in Miami but lived in Haiti until she was 8. At age 7, she was held hostage in an armed robbery in her aunt's house in Port-au-Prince, along with several cousins before being freed unharmed. Duval has put the incident out of her mind. "I have made sure that was locked away in a box," she said in her high-pitched voice. After the robbery, Duval's mother, Nadine, gave up her neonatal practice and moved Vicky and her two brothers to South Florida, leaving behind Vicky's father, Jean-Maurice, to continue his obstetrics and gynecology practice in Port-au-Prince. Vicky then moved with her mother to Atlanta to work with coach Brian de Villiers at the Racquet Club of the South. Vicky was training in Atlanta in January 2010 when a 7.0-magnitude earthquake struck Haiti. Estimates of the death toll range from 100,000 to 360,000. Vicky's father was trapped under collapsing walls outside his home for 11 hours. His legs were broken, his left arm was crushed, he suffered seven fractured ribs and a punctured lung, and an infection spread throughout his body. A wealthy Atlanta family connected to the club where Vicky trained donated money to have him airlifted to a Fort Lauderdale hospital. "He's still paralyzed in his left arm," Duval said. "Everything else is fine." At age 17, Duval qualified for the 2013 U.S. Open and shocked 2011 champion Samantha Stosur in the first round. Shortly before reaching a career-high No. 87 in August 2014, Duval was diagnosed with Hodgkin's lymphoma, a cancer of the lymphatic system (part of the immune system). She missed a year while undergoing chemotherapy and has been cancer-free since then. By comparison, her surgery for a torn meniscus in her left knee last summer was relatively minor. Still, she missed nine months. Reflecting on all her misfortune, Duval said she never asks, why me? "People go through worse things in life," she submitted. "I never (pity myself). I don't have that kind of personality, so anything I've been through, you just buckle down and do it." This is the fourth tournament of the 5-foot-10 (1.78-meter) Duval's comeback. She has reached two semifinals on the minor-league USTA Pro Circuit since returning to improve her ranking to No. 436. Duval is scheduled to face third-seeded Danielle Collins, the 2014 and 2016 NCAA champion from Virginia, on Wednesday not before 10:30 a.m.
"I just feel privileged to be back on the court," Duval allowed. Date, only 5-foot-4 (1.63 meters) and 117 pounds (53.1 kilograms), said in halting English that her knee "is not big problem" and she plans to play in next week's $60,000 Sacramento Challenger at the Gold River Racquet Club. Date frustrated Arconada with devastating flat groundstrokes and great gets before tiring and taking a medical timeout at 0-3 (two service breaks) in the third set. It was easy to see how Date reached the semifinals of the Australian Open in 1994, the French Open in 1995 and Wimbledon in 1996. However, she retired four days before her 26th birthday in September 1996, a victim of burnout, and returned a whopping 12 years later. At age 39 in 2010, Date became the oldest player to rank in the top 50 since Billie Jean King was No. 22 at age 40 in 1984. Date advanced to the semifinals of the inaugural Stockton Challenger in 2015 but missed last year's tournament because of two operations on her left knee. She still seeks her first main-draw victory in three tournaments since returning in early May. Stockton was Date's first tournament since she qualified for a $25,000 event in Changwon, South Korea, in mid-May and retired from her first-round match with a right shoulder injury. "Still I have problem with my shoulder," said Date, who could not have been more gracious with reporters after the match. "That's why I cannot hit hundred percent." The unranked Date said her motivation is "just to enjoy to play tennis. I love competition, I love traveling. Everybody asking me, 'Why you continue to play? Anytime you can stop.' I don't need to stop (laughs). One day when I feel it's time to stop, of course I will stop. But still I want to continue." "Yeah, it's most difficult," Date conceded. "I don't need a ranking anymore. Also, it's difficult to be (top) hundred anymore. I just want to play hundred percent, (not) worry about my body, just focus on the ball and try hundred percent on the match. Then maybe I feel it's time to stop. But last two, three years, always I have some problem, so it's difficult." Date, who divorced German race car driver Michael Krumm last September but said they remain good friends, laughed heartily when asked how long she'd like to play. "I don't know," she mused. "Slowly, (retirement) is coming." Here are the Stockton singles, doubles and qualifying draws and Wednesday's schedule. 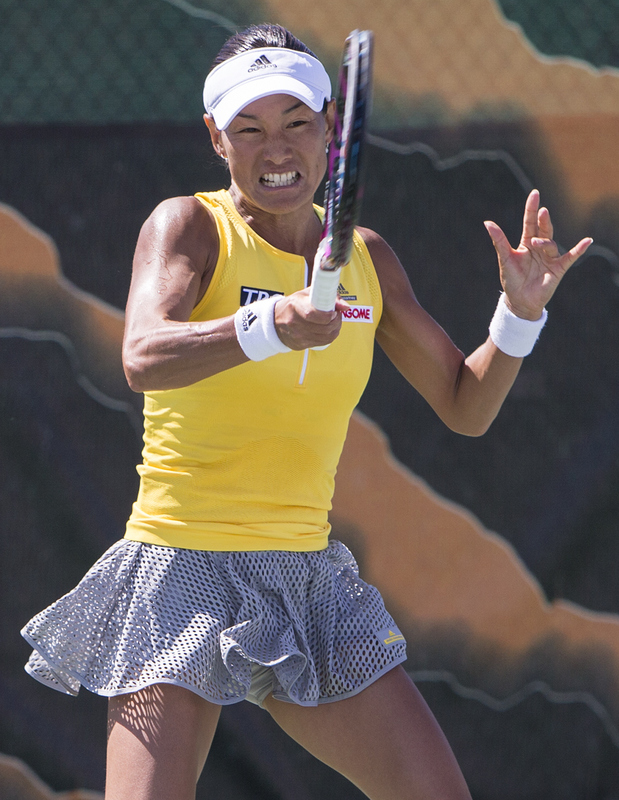 Top-seeded Kristie Ahn, ageless wonder Kimiko Date and cancer survivor Victoria Duval are scheduled to play on Tuesday in the $60,000 University of the Pacific Stockton Challenger. Ahn, a 25-year-old former Stanford star ranked No. 117, will meet 20-year-old Sophie Chang of Havre de Grace, Md., not before 10 a.m. on the Stadium Court in the first round of the main draw at Pacific's Eve Zimmerman Tennis Center. In the following match on the Stadium Court, Date (pronounced DAH-tay), 46, of Japan will take on seventh-seeded Usue (pronounced OO-sway) Maitane Arconada, an 18-year-old resident of College Park, Md. Date returned to competition in May after undergoing two operations on her left knee and missing 15 months. She climbed to a career-high No. 4 in 1995, retired in 1996, returned 12 years later and reached the semifinals of the inaugural Stockton Challenger in 2015. Duval, 21, of Bradenton, Fla., will meet Southern Californian Kristina N. Smith at 9 a.m. on Court 2 in the final round of qualifying. Duval, who was diagnosed with Hodgkin's lymphoma shortly after reaching a career-high No. 87 in 2014, outlasted American Megan McCray 6-7 (8), 6-3, 6-4. Ahn's former teammate at Stanford, Nicole Gibbs, withdrew from the Stockton Challenger. She played World TeamTennis for the host Orange County Breakers on Monday night. Seeded first in Stockton last year, Gibbs lost to Arina Rodionova of Australia 7-6 (3), 7-6 (6) in the second round. The grueling match lasted 2 hours, 24 minutes in 98-degree (36.7 Celsius) heat. Also playing in the final round of qualifying on Tuesday at 9 a.m. will be Northern Californians Michaela Gordon, who will turn 18 on July 26, on the Stadium Court and Allie Will on Court 1. Here are the singles and doubles main draws, the qualifying draw and Tuesday's schedule. Victoria Duval, a former top-100 player who was diagnosed with Hodgkin's lymphoma in 2014, routed UCLA's Alaina Miller of Saratoga in the San Francisco Bay Area 6-2, 6-1 today in the first round of qualifying for the $60,000 University of the Pacific Stockton Challenger at the Eve Zimmerman Tennis Center. Duval, seeded first with a world ranking of No. 440, won 78.3 percent of the points on her first serve (18 or 23) to Miller's 42.4 percent (14 of 33). Miller had no aces and eight double faults. On groundstrokes, she uses two hands on both sides. Duval, 21, is scheduled to meet fellow American Megan McCray on Monday at 9 a.m. McCray dispatched Magdalena Ekert of Poland 6-1, 6-2. Two seeds, both former USC standouts, lost in the opening round. No. 2 Giuliana Olmos of Fremont in the Bay Area fell to Ena Shibahara of UCLA 6-3, 6-2, and No. 6 Kaitlyn Christian bowed out against fellow American Kristina Smith, 7-6 (3), 4-6, 6-3. Christian won the 2013 NCAA doubles title with Sabrina Santamaria. Third-seeded Tori Kinard of the United States beat Brienne Minor, the reigning NCAA singles champion from Michigan, 6-2, 7-5. Kinard will face Ingrid Neel of reigning NCAA titlist Florida. As a freshman, Neel won the clinching match in the Gators' 4-1 victory over Stanford in the NCAA final in May in Athens, Ga.
Also advancing today were fifth-seeded Michaela Gordon, a 17-year-old Saratoga resident headed to Stanford; Cal's Olivia Hauger; former Florida star Allie Will of Fairfield; and wild cards Karina Vyrlan and Roos Nederstigt of Pacific. The main draw will begin Tuesday. Heading the field are former Stanford teammates Nicole Gibbs and Kristie Ahn. Also entered are 46-year-old Japanese marvel Kimiko Date, who reached No. 4 in the world in 1995, and 15-year-old U.S. phenom Amanda Anisimova. Here are the qualifying draw and Monday's schedule. and William Renshaw for the most men's singles titles at Wimbledon. There is no king of England. The Swiss star dominated ailing Marin Cilic 6-3, 6-1, 6-4 today to win his record eighth Wimbledon singles title. Federer had been tied with Pete Sampras (1993-2000) and William Renshaw of Great Britain (1881-89). "It means the world to me to hold this trophy, particularly when I haven't dropped a set," Federer, who missed the last half of 2016 to recover from arthroscopic knee surgery, told the BBC. "It's magical. I can't believe it yet. It's too much, really. It's disbelief that I can achieve such heights. "I wasn't sure if I'd be in a final again after last year, especially some tough losses to Novak (Djokovic) in 2014 and 2015. But I kept believing, and if you believe, you can go a long way in your life. Here I am with an eighth title. It's fantastic." Cilic said afterward he developed a painful blister on his left foot during his semifinal Friday, reported The Associated Press. The 1-hour, 41-minute final was the most one-sided in men's singles at Wimbledon since Lleyton Hewitt whipped David Nalbandian 6-1, 6-3, 6-2 in 2002. Federer, who will turn 36 on Aug. 8, became the oldest Wimbledon men's champion since the Open Era began in 1968 and the second player in that period to win the title without dropping a set. Bjorn Borg accomplished the feat in 1976. 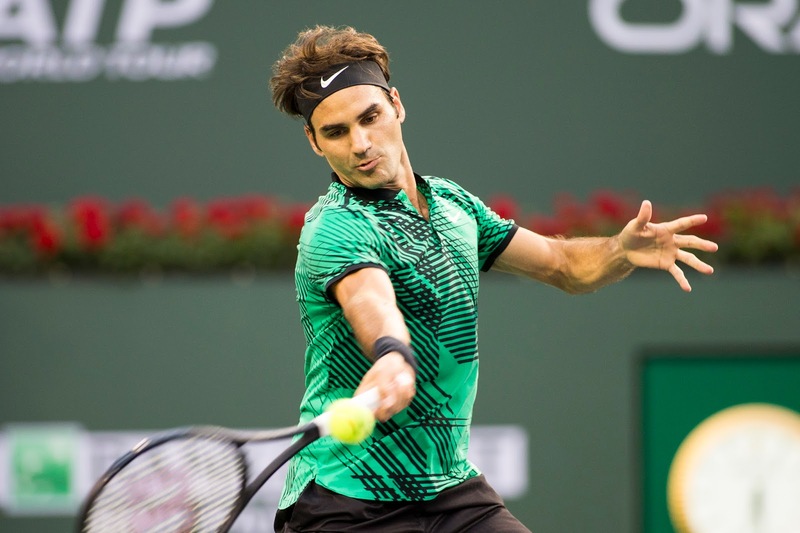 Federer has won two Grand Slam singles crowns this year and a record 19 overall. Rafael Nadal is second with 15. Before triumphing in the Australian Open in January, Federer hadn't won a major title since Wimbledon in 2012. Federer improved to 7-1 against Cilic, who led two sets to none and held three match points before falling to Federer in the Wimbledon quarterfinals last year. Cilic, 6-foot-6 (1.98 meters), was trying to earn his second Grand Slam singles championship and join Goran Ivanisevic (2001) as the only Croatians to win Wimbledon. Cilic overpowered Kei Nishikori 6-3, 6-3, 6-3 for the 2014 U.S. Open title. Cilic also outclassed Federer 6-3, 6-4, 6-4 in the semifinals. Venus Williams today for her second Grand Slam title. Nothing against Venus Williams, but organizers of the Bank of the West Classic at Stanford clearly were rooting for Garbine Muguruza in today's Wimbledon women's final. Muguruza is entered in the Bank of the West; Williams is not. The tournament is scheduled for July 31-Aug. 6 at the Taube Family Tennis Stadium. Muguruza, a 23-year-old Spaniard, rolled to a 7-5, 6-0 victory over Williams, 37, for her second title in three Grand Slam finals. She won the French Open last year and lost at Wimbledon in 2015, facing Serena Williams each time. Muguruza, seeded 14th, saved two set points serving at 4-5 in the first set and swept the last nine games. Ranked No. 15, she will return to the top five on Monday. Muguruza climbed to a career-high No. 2 after winning the French Open last year. She is the only player to beat both Williams sisters in a Grand Slam final. Venus Williams, seeded 10th, was seeking her first Grand Slam title since Wimbledon in 2008. The seven-time major singles champion was diagnosed with Sjogren's syndrome, which saps energy and causes joint pain, in 2011. Williams, the oldest Wimbledon singles finalist since Martina Navratilova lost to Conchita Martinez of Spain in 1994 at the same age, lost in a major final for the second time this year. She fell in the Australian Open to Serena, who has not played since then because she is pregnant with her first child. Martinez, the only previous Spanish woman to win Wimbledon, coached Muguruza during the tournament. Muguruza's regular coach, Sam Sumyk, stayed home in Los Angeles because his wife, former professional player Meilen Tu of the United States, is expecting their first child. Sumyk, a Frenchman, formerly guided Victoria Azarenka to the No. 1 ranking and two Australian Open singles titles. Venus Williams, knowing she has few chances left to win majors at her advanced age, likely felt more pressure than Muguruza. Williams also was coming off emotional victories over surprise French Open champion Jelena Ostapenko and British hope Johanna Konta. Furthermore, Williams was involved in a two-car accident near her home in Palm Beach Gardens, Fla., last month in which a 79-year-old man later died. She broke down when asked about the crash in her initial post-match news conference at Wimbledon last week. The man's family has sued Williams for wrongful death. Both Williams and Muguruza have won Bank of the West titles. Williams captured the singles championship in 2000 and 2002 and was the runner-up in 1998, 1999, 2004, 2005, 2009 and 2016. 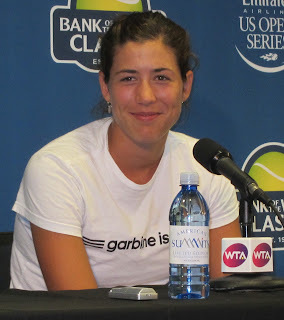 Muguruza took the doubles crown with countrywoman Carla Suarez Navarro and reached the singles quarterfinals in 2014, her only appearance at Stanford to date. Also entered in singles at Stanford this year are Azarenka, former world No. 1 Maria Sharapova and local favorite CiCi Bellis, 18.
second Grand Slam final. He won the 2014 U.S. Open. The task was too tall for Sam Querrey. Coming off three consecutive five-set victories, the 29-year-old San Francisco native faced a Grand Slam champion today in a semifinal matchup of 6-foot-6 (1.98-meter) players at Wimbledon. Marin Cilic, 28, triumphed 6-7 (6), 6-4, 7-6 (3), 7-5 to reach his second major final. He overpowered Kei Nishikori of Japan for the 2014 U.S. Open title. Querrey, the first player to win three straight five-set matches at Wimbledon since Janko Tipsarevic of Serbia 10 years ago, must settle for becoming the only active U.S. man to advance to a Grand Slam semifinal and earning $719,451. The champion will pocket $2,877,805. Querrey beat Novak Djokovic in the third round at Wimbledon last year, Rafael Nadal in the Acapulco final in March and Andy Murray in the Wimbledon quarterfinals this year. Djokovic, who remains in a slump, had just won the French Open to complete a career Grand Slam, and personal problems may have contributed to his loss to Querrey. Murray hobbled with a sore hip after leading Querrey by a set and a break on Thursday. Cilic, the seventh seed and tallest Wimbledon finalist since the Open Era began in 1968, will face Roger Federer, seeded third, on Sunday at 6 a.m. PDT (ESPN). Federer, a father of four who will turn 36 on Aug. 8, beat Tomas Berdych, the Wimbledon runner-up in 2010, 7-6 (4), 7-6 (4), 6-4. Federer, the oldest finalist at the All England Club since 39-year-old Ken Rosewall in 1974, seeks his first Wimbledon singles title since 2012. He shares the record of seven with Pete Sampras (1993-2000) and William Renshaw of Great Britain (1881-89). Federer would be the oldest Wimbledon men's champion in the Open Era. The Cilic-Querrey match lasted "only" 2 hours, 56 minutes. Cilic outlasted Querrey 17-15 in the fifth set in 5 1/2 hours in the third round at Wimbledon in 2012. It's the second-longest match by time in Wimbledon history behind John Isner's 11-hour, 5-minute victory over Nicolas Mahut spanning three days in 2010. Cilic improved to 5-0 against Querrey (3-0 at Wimbledon) and became the first Croat to reach a Wimbledon singles final since Goran Ivanisevic edged Pat Rafter of Australia 9-7 in the fifth set in 2001. Cilic played brilliantly today. He had 25 aces and only one double fault, won 88 percent of the points on his first serve (69 of 78) and 67 percent on his second delivery (28 of 42), ripped 70 winners and committed 21 unforced errors. Cilic converted 4 of 14 break-point opportunities. Querrey, seeded 24th, finished with 13 aces and three double faults. He won 48 percent of the points on his second serve (26 of 54) and had only three break-point chances, capitalizing on two. Federer leads Cilic 6-1 in their head-to-head series, In their last meeting, Cilic led two sets to none and held three match points before falling in the Wimbledon quarterfinals last year. Cilic dominated Federer 6-3, 6-4, 6-4 in the semifinals of the 2014 U.S. Open. Cilic, one of the nicest guys on the tour, served a four-month doping suspension in 2013. He said he inadvertently ingested a stimulant in a glucose tablet bought at a pharmacy.